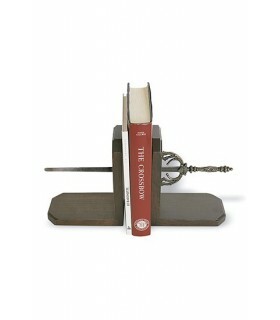 Bookend There are 6 products. 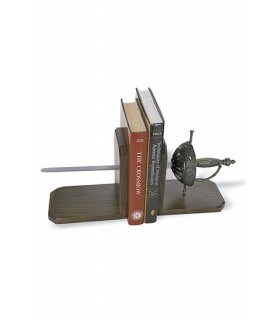 Bookends medieval sword. It includes partner. 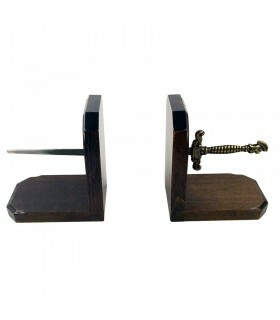 Bookends Rapier. Made of wood and metal. Size: 42x21x14 cm. 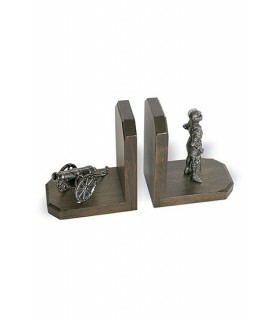 Wooden bookends with helmet and ashtray. Measures 42 x 21 x 14 cm. Weight 2,600 gr. 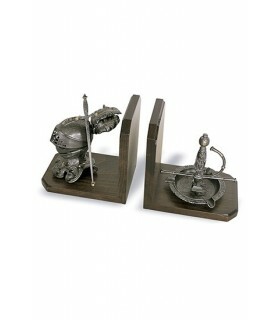 Bookends with medieval warrior and cannon. 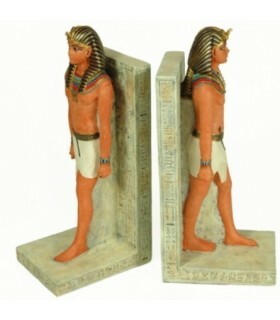 Measures 28 x 16 x 9 cm. Weight 1200 gr.